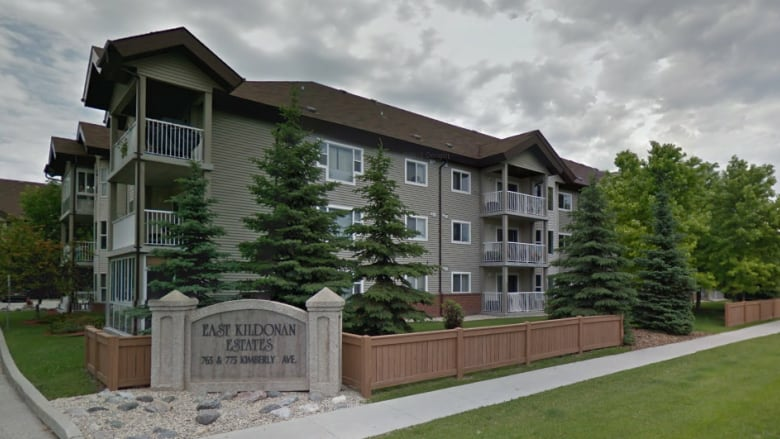 The campaign manager for Donovan Martin, a Liberal candidate running in the Concordia constituency, is filing an official complaint with Elections Manitoba after being denied entry to a condominium complex at 775 Kimberly Ave. in Winnipeg. Martin said he was "baffled" after an employee with Stevenson Management Services told his campaign Thursday they were not permitted to canvass residents inside. Under The Elections Act, political candidates and their representatives must be given reasonable access to an apartment, condominium complex, or multiple residence between 9 a.m. to 9 p.m. during an election period. In a voicemail left with Martin's campaign provided to CBC, an employee with Stevenson Management Services claimed he and his team were under no circumstances allowed into the building. "We do not allow this type of activity in our building. The only election things we do allow is enumerators," the employee said on the voice mail. Martin hopes Stevenson's actions raise awareness of election rules for apartment and condominium dwellers. "I hate for this to be happening for any other candidate as well," Martin said. Curtis Loewen, a managing partner, with Stevenson Management Services said it was a junior employee who gave the related incorrect information to Martin's team. Loewen said he apologizes to Martin and welcomed his campaign team to return to the building. "We'll let him do whatever he's allowed to do under law, and that's not a problem with us," Loewen said. Martin said he will be returning to the Kimberly Avenue building on Wednesday to meet with constituents.